This is one of the most different types of salami/charcuterie I've ever attempted. 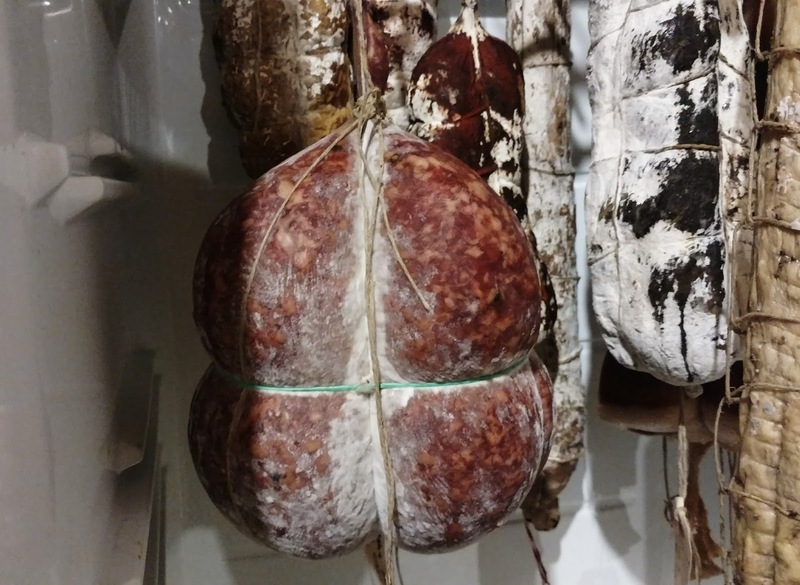 Salama da Sugo is a classic piece of Italian charcuterie in Ferrara, located in the heartland of Italy's arguable most hearty fare: Emilia-Romagna. Home to the meat-rich Bolognese sauce, egg pastas, cotechino, braised tripe, Prosciutto di Parma, and Parmigiano Reggiano. So perhaps it makes sense that Emilia-Romagna would birth the "salami of sauce." Like pretty much every other salami, Salama da Sugo is dry cured so it can be sliced thinly and eaten raw. And while Salama da Sugo could be eaten this way, instead it's often poached whole for hours, then sliced open and served hot over pureed pumpkin or potatoes. Thus the salami becomes the sauce. But it's pretty ingenious. 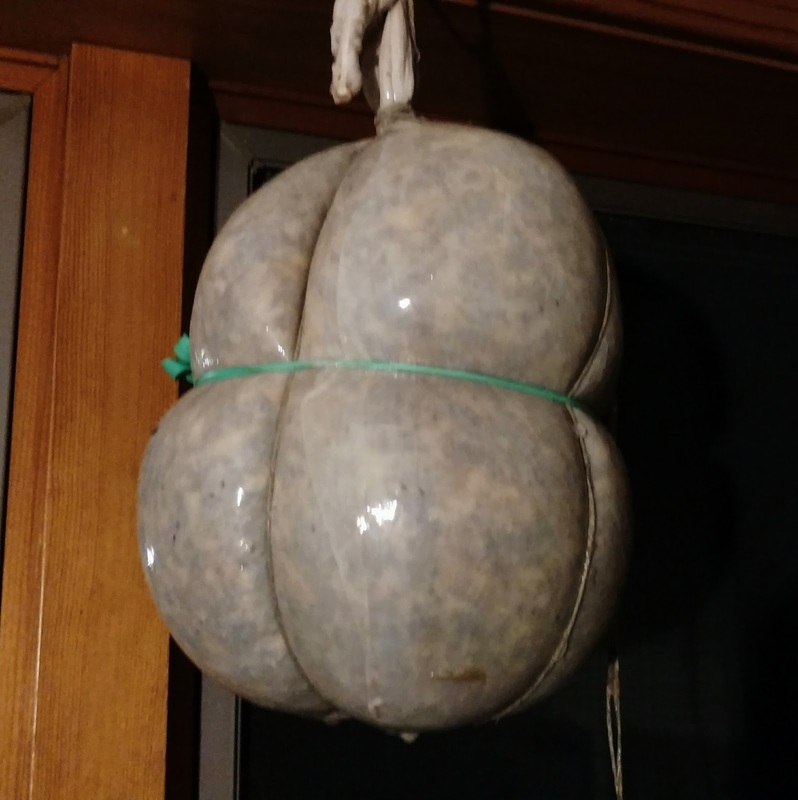 This is a large format salami packed into a pig's bladder, creating a 6-12 lb porcine orb. 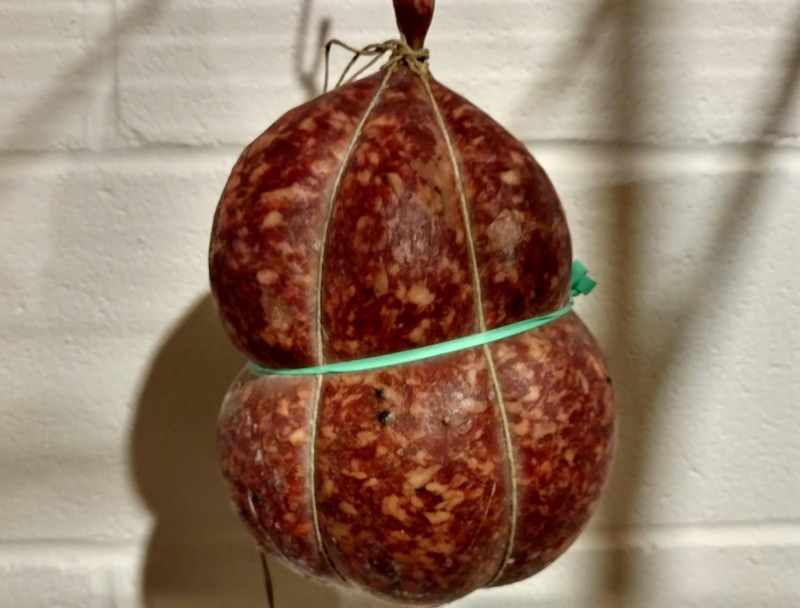 Put up to cure in the fall, this salami could be served as a celebratory centerpiece in the dead of winter, when large roasts and joints of stewing meat were a springtime away. For this salami I ground a Berkshire pork but on a medium die, then mixed in Umbrian sagrantino wine, salt, black pepper, anise seed, and cinnamon. Stuffed into a hog bladder, I tied the salami with hemp, then twisted a rubber band around the center. This center tie is actually traditional, but rubber bands are a replacement for traditional twine. As the salami ages the vertical hemp twine will go loose as the water evaporates. But the rubber band will keep cinching tighter to keep the middle of the orb from going soft and spongy. So far, my Salama da Sugo looks really nice. I'm very excited to bring it out from the cellar in January or February to cook it off!